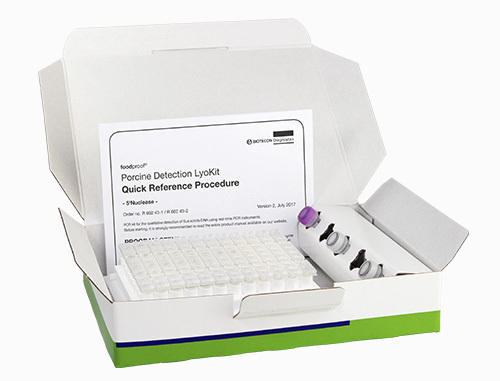 The foodproof Porcine Detection LyoKit enables qualitative detection of porcine DNA even in highly processed foods. Species identification provides quality control of meat, cross-check of gelatin products and confectionery. Exclusion of swine DNA or identification of the species is relevant for survey of vegetarian and vegan products and for halal food. The new LyoKit has a very high sensitivity.